Where do you learn to become a politician? Who can teach aspiring young politicians the basics of democratic leadership? In a country like Tunisia, there is no easy answer to these questions. The Jasmine Revolution that took place in 2011 brought many changes: free elections, a Parliament that controls the Government and a new Constitution. Dozens of political parties were established to compete for power. But, after years of authoritarianism, democratic politics is in many ways a new profession. The Tunisian School of Politics (TSoP) was established in 2012 to teach aspiring young politicians this profession. Samar Zaidi and Rabia Arfa are two young politicians who had the opportunity to participate in TSoP in 2017. Samar Zaidi grew up in the city of Gafsa, southwest Tunisia. “I learned about TSoP from a fellow party member in the Front Populaire party alliance (an opposition party). I have found the course eye opening and deeply practical. In particular, I gained a lot of technical knowledge with real-life applications. I have already applied for a second year and hope to continue the course in 2018”. Rabia Arfa is also from Gafsa, but is a member of the ruling Nidaa Tounes party. Her route into TSoP was also through her party and she too has applied for a second year. Each year, the ten largest political parties nominate their best and brightest young members for participation in the training programmes. Forty-five candidates are then selected. Through this process, the TSoP focuses on creating equal opportunities for those who traditionally have less access to politics: youth, women and people from rural areas. The aim is to even the playing field, giving everyone an equal chance to participate in politics. In 2017, 55% of the participants were women, and 53% came from regions outside the capital city, Tunis. After a year of training, the ten best participants are selected for an exchange visit. That’s what brought Rabia and Samar to the Netherlands in December 2017. 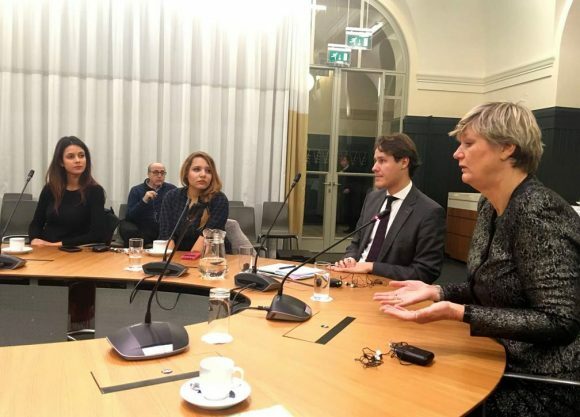 They visited the cities of Rotterdam, where they learned about local democracy and local elections, and The Hague, where they found out about social dialogue in the Netherlands. This is particularly relevant to Tunisia in its current democratic transition, with local elections scheduled to take place in May 2018. Besides the School’s relevance to the Tunisian context, one of the most interesting aspects of TSoP’s work is that it gives politicians from different backgrounds the opportunity to actively engage in constructive dialogue. Indeed, Samar found the training helpful for her career in different ways. She now works in Communications for the Tunisian National Parliament and, as a result of her TSoP training, would like to delve deeper into developing her communications skills and furthering her expertise. 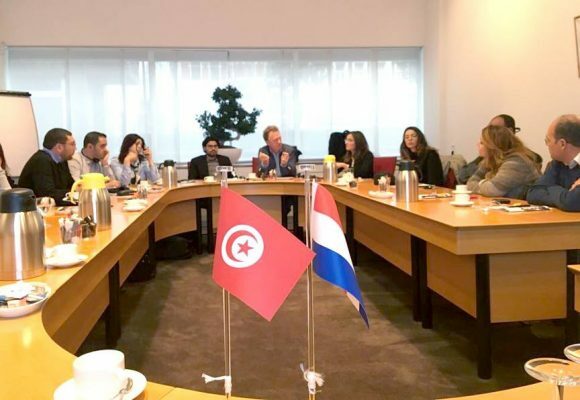 The professional relevance and skills-based learning also appealed to Rabia who is the Director of the Women’s Department at the Tunisian Institute of Strategic Studies. In addition, TSoP provided Rabia opportunities to attend conferences and take part in high-level panels to promote women in political leadership. The training has provided both Rabia and Samar many opportunities. But it also comes with responsibilities, especially towards their political parties. Rabia will also put her newly acquired skills into practice within her party as part of a commission tasked with developing the party’s Vision 2030. 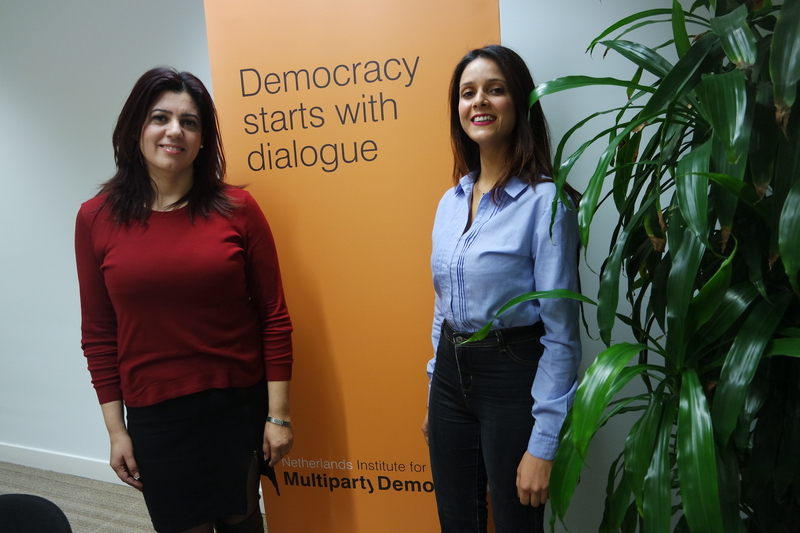 Ultimately, for both Samar and Rabia, a spirit of openness, a diverse atmosphere and the opportunity to learn relevant skills provided a valuable training ground. TSoP is proud of its graduates and their commitment to diversity and cooperation. It will continue to be a place for Tunisia’s new generation of politicians to learn the profession of politics. TSoP is run and coordinated by the Centre des Etudes Méditerranéennes et Internationales (CEMI), and supported by NIMD in partnership with DEMO Finland.